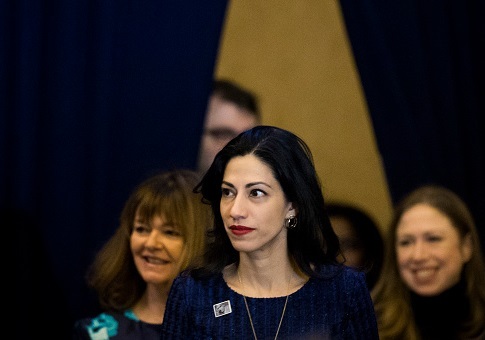 Huma Abedin, a longtime aide to failed Democratic presidential candidate Hillary Clinton, has collected more than $50,000 from Clinton’s campaign since the November election loss to Donald Trump, according to federal election commission filings. Abedin, who served as the vice chair of Clinton's campaign, has been given $52,180.65 from Hillary for America, Clinton's campaign committee, from mid-November to the end of March, the time of the latest available filings. Abedin received 12 checks ranging from $2,316.06 to $6,005.45 and was also paid hundreds for phone and travel expenses. A handful of other close Clinton associates, including Nick Merrill, Hillary's former press secretary, were also still being compensated as of late March. Donald Trump's campaign committee has also continued to pay staffers, including John Pence, the nephew of Vice President Mike Pence, who became the campaign’s executive director in January. However, Trump filed for re-election and has been pulling millions into his campaign committee for 2020. This entry was posted in Issues and tagged Hillary Clinton, Huma Abedin. Bookmark the permalink.